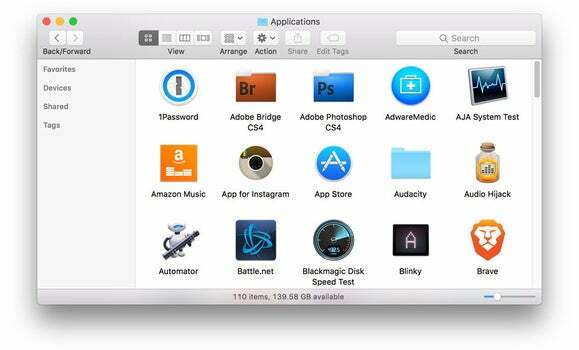 You don’t really need to use a blank space or a character to make folders list first. When you open a Finder window and then sort or arrange the window based on name, everything is listed alphabetically, and folders are mixed in with files. This is the default in Sierra, and has been the default in the Mac operating system for as long as I can remember. My preference, however is to have the folders appear in the list first, so I used to name my folders with a blank space as the first character in the name (for example, “ Stuff” instead of “Stuff”). By default macOS Sierra, there’s no separation between folders and files when sorting by name. 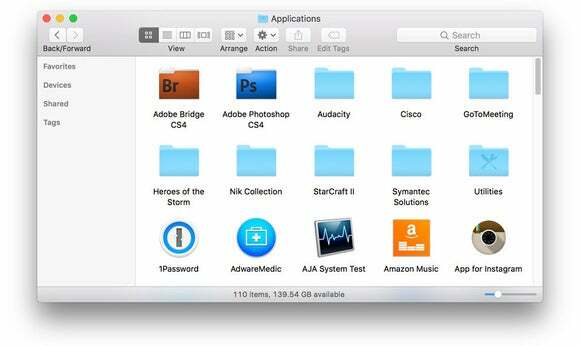 In this screenshot, the two Adobe folders and the Audacity folder are included in the alphabetical list of applications that are not in folders. In macOS Sierra, you don’t really need to use a blank space or a character to make folders list first. 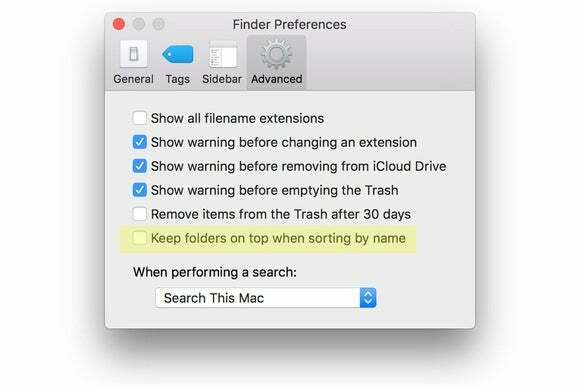 There’s actually a new option in the Finder preferences to let you do this. In the Finder, click on the Finder menu and select Preferences, or press Command+,. 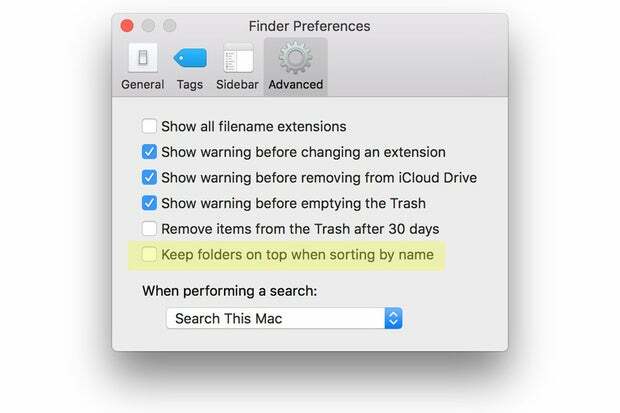 In the list of checkbox items, the last one is “Keep folders on top when sorting by name.” Check the box if you want to do this. With this setting active, folders will appear first in the list, regardless of what view you are in. If you are in list view and you sort by Name, folders are listed first, followed by your files. If you use the Arrange function, folders will list first depending on the Arrange option you choose, such as Name. This screenshot is of the same folder in the first screenshot, but with the “Keep folders on top when sorting by name” option on.